The abyssal zone corresponds to the large loose bottomed abyssal plains that extend beyond the rise of the continental slope at a depth of, between 5,000 and 6,000 metres. In these aphotic depths the pressure is very high and organic matter is rare. Organisms found in this environment, extremophiles, essentially feed by chemosynthesis or by decomposing the organic detritus that sediments from the upper layers of water. 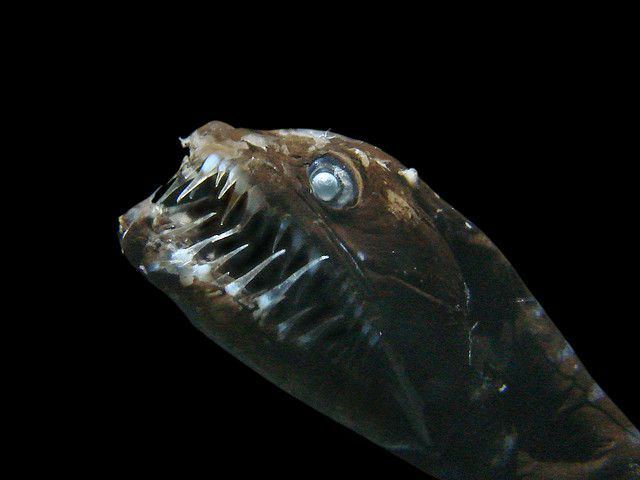 Many organisms, especially predators, have developed bioluminescence capacities. Sometimes, around hydrothermal sources, oases of life are found.